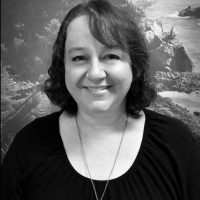 Petra Broomby has been with Elders Port Macquarie since 2008 and is our Holiday Department and Front Office Manager. Petra has been a local area resident of 23 years. Her clients are quick to praise her excellent communication skills, attention to detail and impeccable customer service. She is well-liked for her pleasant and empathetic nature and she is extremely efficient, ensuring there are no loose ends. She is passionate about making sure her clients receive the best customer service and that their experience with Elders is pleasant and hassle free. Would you like to speak to Petra?